PVC roofing membranes continue to be the leading product in both commercial and residential flat roofing market. To get a better sense of why PVC is a superior roofing system, besting its competitors in quality, durability, and longevity, it is important to know a brief history and evolution of PVC roofing membranes. PVC, also commonly known as vinyl, is composed of two main components: ethylene and chlorine. Petroleum or natural gas is processed to produce ethylene, while chlorine is derived from salt. In the compounding process, vinyl resin is blended with plasticizers, heat-stabilizers, ultraviolet (UV) light inhibitors, biocides, and color pigments. A PVC roof is a single-ply membrane composed of two layers of PVC material with a polyester reinforcement scrim in between. The top ply contains special additives that make the membrane UV resistant and prevent curing. Additionally, the top ply contains plasticizers that make the membrane flexible and pigments for color. The bottom ply is a black PVC, containing more plasticizers for flexibility and typically no other additives or fillers. Additionally, polyester or fiberglass reinforcement is added to achieve high tearing and breaking strengths necessary for mechanically fastened single-ply roofing systems. PVC roofs are distinguished by the way they are put together, using hot-air welding (fusion welding) of the seams. Hot – air welding creates a permanent physical bond between the sheets that is actually stronger than the membrane itself, making PVC roof installation fast and ensuring that critical areas are permanently watertight. Moreover, hot-air welding also ensures that the membrane will remain pliable and will be impervious to leaks, even if there are puddles of ponding water on the roof. PVC is one of the pioneering single-ply roof materials that was specifically designed to address a wide range of roofing problems resulting from water leaks. 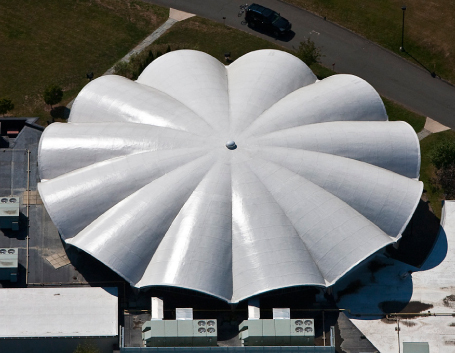 In 1966, a German company, called Trocal, formulated and produced the first known PVC roofing membrane. PVC’s superior performance to other flat roofing systems were quickly recognized, and within a few years, Trocal’s PVC roofing membranes covered millions of square feet all over Europe and the use of PVC membranes started spreading across the world. In Europe, PVC roofing membrane continues to be the leading single-ply roofing material, boasting the longest track record of successful performance of any thermoplastic membrane. It took less than a decade for PVC roofing membranes to start being produced in the US instead of being imported from Europe. However, initially a number of US manufacturers producing PVC membranes made a critical error in the formulation of the membrane in the effort to make the process more economical. Specifically, because PVC is not a naturally flexible material, it requires the addition of a number of plasticizers to gain an appropriate level of flexibility. To save money, manufacturers changed the formulation and started adding less of these plasticizers, which lead to failures of these newly formulated PVC membranes. The membrane simply reverted to its original inflexible state and started shattering during cold weather. After massive recalls, US manufacturers have improved the formulation, adhering to the strict standards of their European counterparts. 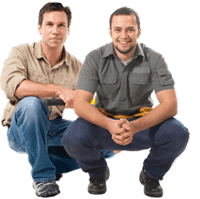 The two oldest and most reputable PVC manufacturers in the US are Sika Sarnafil and IB Roofing Systems. Both manufacturers use a time tested PVC formulation that they have not changed for years, guaranteeing the durability and longevity of their product. Since these improvements have been made over 30 years ago, PVC roofing membranes are known to be the most reliable and long-lasting single-ply roofing systems. Um… sarnafil pvc still has the issue of cracking and shattering due to formula until the early 2000s. So you cant call it tested by time to well. Duralast roofing, which i might add came out in the 70s before either company was producing proper pvcs, started out and never removed there plasticizers and still have some of there original roofs around. Yet are not on the list? No arguments involving ib. Good membrane. Especially chemguard ib. The first Trocal roof installed in the U.S. that I know of was a loose-laid ballasted roof at the New England Conservatory in Boston in 1975. It immediately failed by shrinking and cracking. The first Sarnafil roof, also installed in 1975 at the First Methodist Church in Laconia NH, was an adhered membrane on plywood nailed to the structure. That roof is still in service. Detu – Durolast did not make its first membrane until 1994 when they installed their first calendar line. Prior to 1994 Durolast purchased their membrane first from Seaman Corp back in 1979, then Bond Cote, Canadian General and GenCorp. So their oldest roofs are Fibertite, but they love taking the credit although they didn’t manufacture the membrane. i also hear that duralast doesnt have a very good contractor screening process … and often sells to whoever pays… is that true? IB has their own formulation (purchased in germany 35 years ago). They contract out the manufacturing to Canadian General, but its not really a private label – its their own product. This is what you call fab-less … just like apple does not manufacture iPhones – you can’t say that iPhone is Foxconn private label. Despite the fact that PVC sheets are powerless against UV from the sun,the advanced material sheets have a defensive film layer which shields them from the ultra-violet beams. Thomas, what are you talking about??? Detu, you are obviously selling a competitor to Sarnafil or you have very little knowledge of the subject. No company comes close to the consistency of performance of Sarnafil PVC. Sarnafil is universally recognized as the real time proven, best performing single ply membrane in the world. I am not claiming it is the only good system but to claim it has problems is simply ridiculous.